Update 2/3/18: The Honor 9 (STF-AL10, STF-AL00, and STF-TL10) in China is also receiving an update with the AR Lens feature. The update brings the device to B338 and also adds the February security patches. Huawei unveiled the Honor 7X in October 2017 to mostly positive reviews. Some in the community were disappointed it shipped with Android Nougat instead of Oreo, but others appreciated that it delivered high-end specifications at a reasonable price point. In any case, it’s gotten excellent software support from Huawei: On Tuesday, we learned about an over-the-air update rolling out to the Honor 7X that brings the company’s promised facial recognition feature, an augmented reality (AR) camera app tool, and more. In early January, the Honor 7X started to receive Oreo-based firmware which also included version 8.0 of Huawei’s EMUI custom Android skin (the Honor 7X shipped with EMUI 5.1). Not even three weeks later, we’re seeing another OTA update for the Chinese variant (which carries the model number BND-AL10) that brings the software up to build B192. One of the firmware’s headliners is face unlock, which uses the phone’s front-facing camera to verify your identity, and Smart lock screen notifications, which protect your privacy by preventing prying eyes from reading your notifications. You’ll find the new features in Settings -> Security and Privacy -> Face Unlock. The update also adds an AR lens effect to the Honor 7X’s camera application that lets you add layers to selfies and change the background of photos. It’s in Camera -> Modes -> AR Lens. Finally, the new firmware “optimizes” the accuracy of several city names in the Weather app and ships with Android’s January security patches. 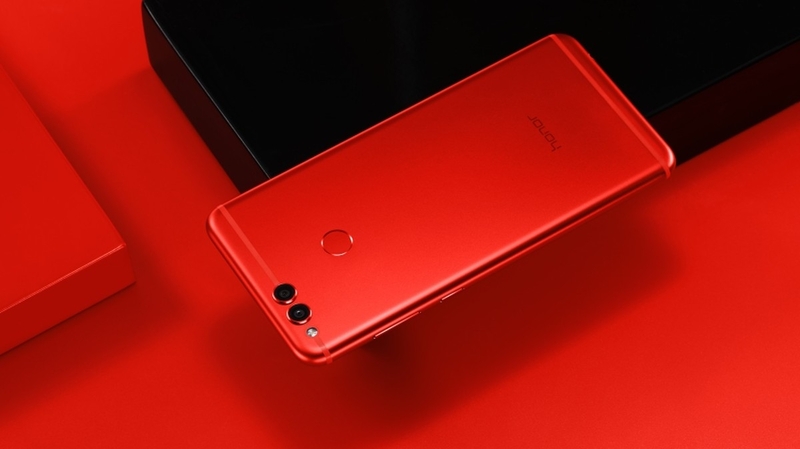 Honor waited a few months before launching the international version of the Honor 7X, but it was able to hit the Chinese variant’s $200 price tag. We reviewed the unlocked Honor 7X in December of last year, and came away impressed by the phone’s 5.93-inch (2160×1080) edge-to-edge screen and speedy HiSilicon Kirin 659 system-on-chip. While it isn’t guaranteed yet, it’s possible that the international Honor 7X will get the OTA update in the near future.